So Michelle of Galleysmith and I thought it would be fun to have a conversational review about a few of my dystopian reads this month. These will be more in-depth than my usual reviews and discuss plot points in a non-spoilery way. We'll be posting about a different book every Thursday, and this week, THE ELEVENTH PLAGUE is up. Stephen Quinn, a quiet and dutiful fifteen-year-old scavenger, travels Post-Collapse America with his Dad and stern ex-Marine Grandfather. They travel light. They keep to themselves. Nothing ever changes. But when his Grandfather passes suddenly and Stephen and his Dad decide to risk it all to save the lives of two strangers, Stephen's life is turned upside down. With his father terribly injured, Stephen is left alone to make his own choices for the first time. Stephen’s choices lead him to Settler's Landing, a lost slice of the Pre-Collapse world where he encounters a seemingly benign world of barbecues, baseball games and days spent in a one-room schoolhouse. Distrustful of such tranquility, Stephen quickly falls in with Jenny Tan, the beautiful town outcast. As his relationship with Jenny grows it brings him into violent conflict with the leaders of Settler's Landing who are determined to remake the world they grew up in, no matter what the cost. Michelle and I decided to discuss four topics: Genre classification, character interactions, originality and themes. The first two we discuss below, the second two we discuss over at Galleysmith. 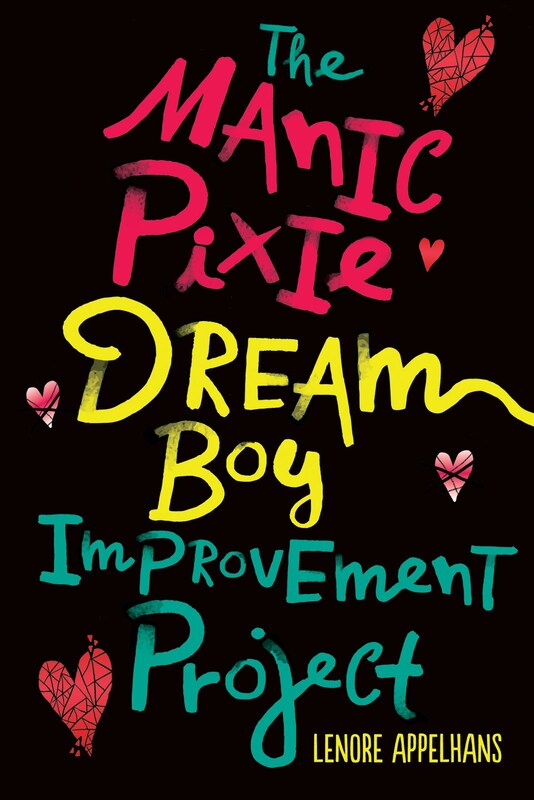 Since I didn’t read the summary, I was rather surprised when a book that started out like a teen version of THE ROAD turned into something else entirely. 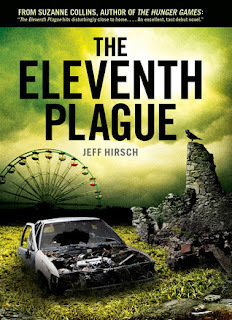 THE ELEVENTH PLAGUE is firmly in post apocalyptic territory – with a population decimated by a plague and divided into desperate scavengers and groups of evil slavers – but Settler’s Landing, the gated community Steve finds himself in – is like a 20th century museum, complete with blueberry pie and baseball. I agree, though I could see traces of the dystopian in the small culture in which Steve found himself living. Caleb was all about making sure things were going his way and wasn't afraid to oppress others to get it. He had a definite control over their community using fear and intimidation. But, as you've said, this was definitely another book that isn't full on dystopian. I'm a fan of post-apocalyptic fiction though so I enjoyed it nonetheless. LENORE: Well, post-apoc is legitimately part of Dystopian August! But you're right about Caleb's control being dystopian. Especially when we find out why and how some former community members have been banished. I thought it was a clever allusion to the way some gated communities in suburbia can be rather fascistic in their rules - like you better not even think about putting that garden gnome out in your front lawn mister! Kinda….I see the parallel you're making but in those suburban communities there really is a group vote, here there wasn't that much going on. In Eleventh Plague the group was an illusion because really Caleb had all the power and control. If anyone dared to go against him the end result was always excommunication and expulsion. He'd trained the community, bent everyone to his will, so well that the only choice really was vote with him or fight for their lives outside the safety of their gates. LENORE: Oh they may make it seem like a group vote, but usually there are one or two strong-willed people that force others to conform to their wishes. Same with Caleb. I thought it was extraordinarily well done in the early chapters how we were shown what a life as a scavenger had done to Steve’s personality. He was suspicious of kindness, stole trinkets (and valuables) for possible trade later, didn’t want to open up about himself, found it hard to relax and was even envious and angry that some people had had life easy while he struggled. Through interactions with others in town – from the antagonism of Will, the patience of Vi, the contagious enthusiasm of Derrick, the wisdom of Mr. Tuttle and the wild abandon of Jenny – Steve really goes through powerful character change. Yes! But I have to say I wish I'd seen more of that in others. The second most powerful character in the book could have been Jenny, and while she showed some change I was hopeful that we'd see a bit more of how that happened. One minute she was a spiteful impertinent girl no one liked and the next she was a protector of the community. It was somewhat abrupt for me. Certainly not as smooth as Steve's transition was -- his felt a bit more realistic and authentic. LENORE: Jenny was more a catalyst for Steve's character journey and the plot (especially leading up to the big confrontation scenes near the end) and less a three-dimensional character in her own right. While I could understand that her motivations were conflicted, especially considering her ethnic Chinese background (after all - the Chinese were considered the big bad enemy in the novel), I also would have appreciated more insight into her evolution. I quite enjoyed Steve's tentative interactions with Violet as well. He'd not experienced any kind of mothering (or female influence at all really) his entire life and when encountered it was awkward for him. It opened his thoughts up to what could have been had his own mother been present for any period of time. I appreciated that he often found himself wondering what his family would have been like in the circumstances he was finding himself in with Marcus and Violet. That exploration was fascinating. LENORE: Yes, he was quite young when his mother passed on, so his memories of her have been worn down by a hard life on the road. Violet, I think, helped him find that humanity that had been pushed so far inside him. Oh I like that! Humanity ends up being a HUGE theme in this book if I go back and look at it now. Caleb's inhumanity and Violet's humanity guide Steven into recognition of what is right vs. wrong and what may or may not be an acceptable comfort level for himself. Read the rest of our discussion over at Galleysmith. THE ELEVENTH PLAGUE comes out in less than a month on September 1, 2011. Find out more about it at the author’s website. I am so excited about this one and now even more since you confirmed it's more post-apocalyptic than dystopian. Great feature and nice duo review. Thanks! You two have made this sound really good to me! I also thought the synopsis sounded vaguely like The Road, and I am really curious how that one town manages to keep it's society so perfect when the rest of the world has fallen apart. This Caleb dude sounds like serious bad news, and I am also curious about what happens with him as well. Ok, that's it..this book goes to the top of the wish list. I am too intrigued not to find out more! This was also a great little joint review. I liked it a lot! Thanks for the joint review discussion, ladies! :) The one has been on my wishlist for a while.